Auburn Bay is a SE Calgary community with a variety of modern homes and condos. 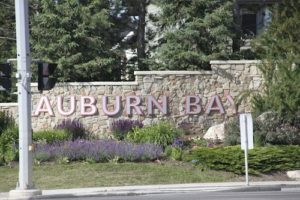 Auburn Bay is a SE Calgary community with convenient access, lake-front homes and is nearby many shopping centres and services. 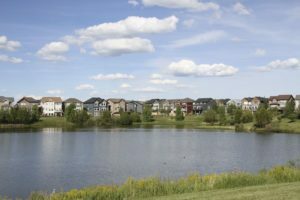 It is located at the intersection of Deerfoot Trail and Stoney Trail, nearby the communities of Seton, Mahogany and McKenzie Towne. Auburn Bay real estate includes many modern single-family homes and condos (including attached houses and also larger condo complexes). The Auburn Bay homes for sale are all here, or read more about Auburn Bay real estate. Near the intersection of Deerfoot Trail and Stoney Trail is the SE Calgary community of Auburn Bay. Wth the two main roadways nearby, getting to and from Auburn Bay is easy. The community is home to many types of homes and condos, all in modern styles. Auburn Bay real estate is popular among home buyers seeking newer houses, and they come in a wide range of prices. The lake community of Auburn Bay features a variety of homes backing right onto the lake. Auburn Bay is surrounded by communities with similar housing options. There is Cranston to the west, McKenzie Towne and Copperfield to the north and Mahogany to the east. Seton is located directly to the south and has many shopping options and services including the South Health Campus. In the middle of the community is Auburn Bay Lake, which is surrounded by beautiful houses. There is a beach, tennis courts and park along the southern side of the lake. The Auburn Bay Residents’ Association oversees the lake, in addition to regular events and programming for kids, families, adults and seniors. Nearby there are a few other lake communities, including McKenzie Lake, Chaparral and Sundance. Nearby Auburn Bay are a variety of shopping options, including in Seton and McKenzie Towne. There are also many schools nearby, including public and Catholic schools. The neighbourhood can be also accessed by a community shuttle that is run by Calgary Transit. 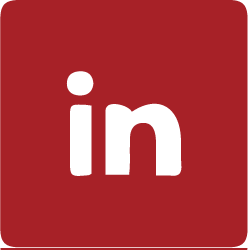 Send us a message for more information about Auburn Bay real estate.